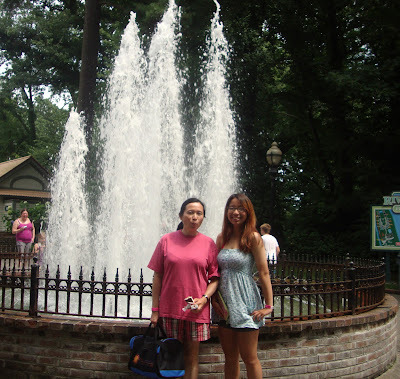 ~My Broken Eggshells~: Six Flags Adventures! My trip to Six Flags last Sunday was successful unlike last year where we got a flash flood haha. 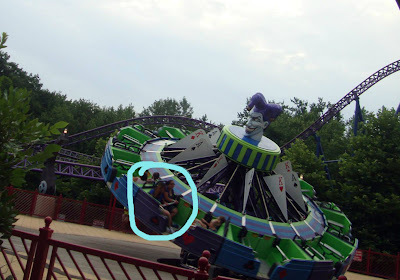 I don't know why, but I literally thought I was going to Lake Compounce till the night before when my mom and I looked over the trip information. My mom noticed the little six flags symbol on the top of the paper and told me. It was quite surprising and while I didn't mind that much, I had told my friend that I bringing her to Lake Compounce tomorrow so... I needed to tell her where we were really going!! Our bus to Six Flags left at 10:45 and since we were half an hour away from the bus we had to leave around 10 in order to pick up my friend and make it in time. Before that though, I had to push myself through a 7 mile run (whoot whoot)!! The run went by pretty quickly as I was eager to get home, shower, and leave! The ride took ~1 hour and before I knew it, we were at the park! It was a beautiful day to be at the park! The sun was peaking out from the clouds and it wasn't scorching hot. Another thing I missed on my trip information sheet was that food was only provided from 12-3. Last year it was provided from 12-6 so I just assumed it was the same this year! Since it was ~12 when we got there already, we all agreed to get lunch first so we could take advantage of the free food! The food selection this year wasn't the best although I feel like being a vegetarian makes it much harder to create a meal from burgers and hot dogs. My lunch consisted mainly of a mini salad and lots of delicious potato salad and a handful of chips! They also offered us ice cream which I took full advantage of because I as you know, ice cream/froyo is one my favorite foods! There is no picture of my meal, because a plateful of potato salad is not what you would call attractive. After lunch, I got changed into my bathing suit and walked around a bit to let our stomachs settle. Going on any ride with a full stomach is a recipe for disaster. The bikini I chose to wear for this trip is my absolute favorite! I got it last year from a company called Sheridyn Swim on amazon. I basically went onto amazon and typed in "push up swimsuit" and several bathing suits from this company popped up. I eventually chose to get a bikini top and matching bottoms from them because I fell in love with the color and style of the them. Personally I loved the bikini top from them. The color is beautiful and the design is so unique. The top also follows through on it's promise of push up!!! It's better than my push up bras and def. helped my chest looked much bigger/perkier than they really are (tmi maybe.. sorry) The matching bottoms, however, I would not purchase again. They looked so angelic and mermaid like online, but in real life they looked strange. the bottoms were your typically bottoms, but had two super long ties on the side. The sides were so thick and long that I did not know what to do with them. haha I actually disliked the bottoms so much that I lost them... They were cute, but the sides were a huge no no. I cannot express my love for their bikini top though! It is literally the best I have ever tried! After walking around, we proceeded to go on some rides! 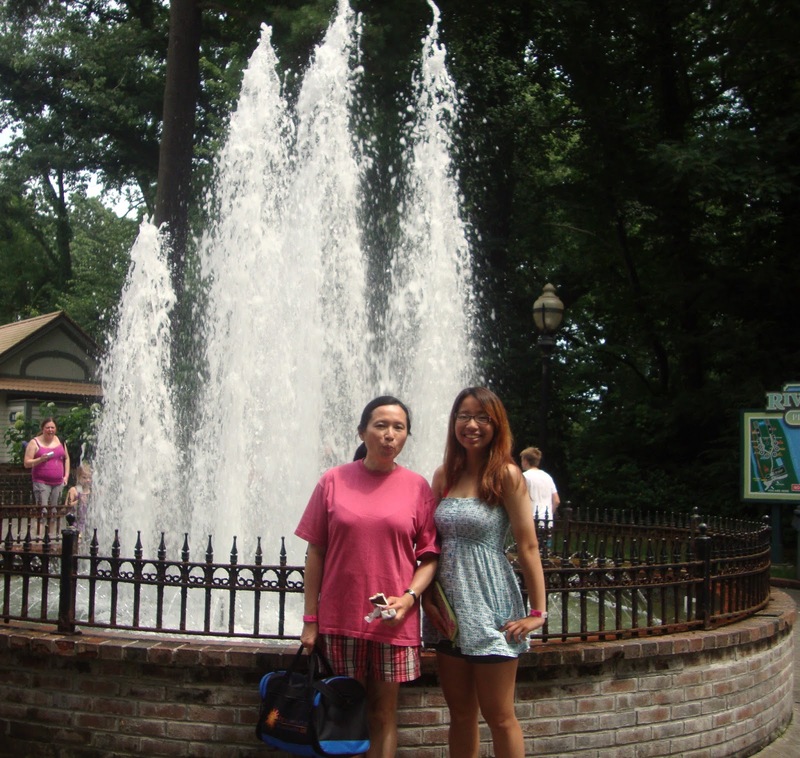 My mom is not a fan of amusement park so she held our bags and took pictures while we ran around and played. We spend hours in the water park before moving on to the thrill rides. I personally loved the water park because even the scariest water rides are not that scary to me .. (though heights make me uneasy). Other rides that aren't water rides freak me out! My friend was super adventitious and attempted to drag me on the Bizarro, the highest roller coaster in the park, but it did not work. Her determination to get me on Bizarro was nothing compared to my fear of heights!! After all out rides, it was already 8 pm aka dinner time. 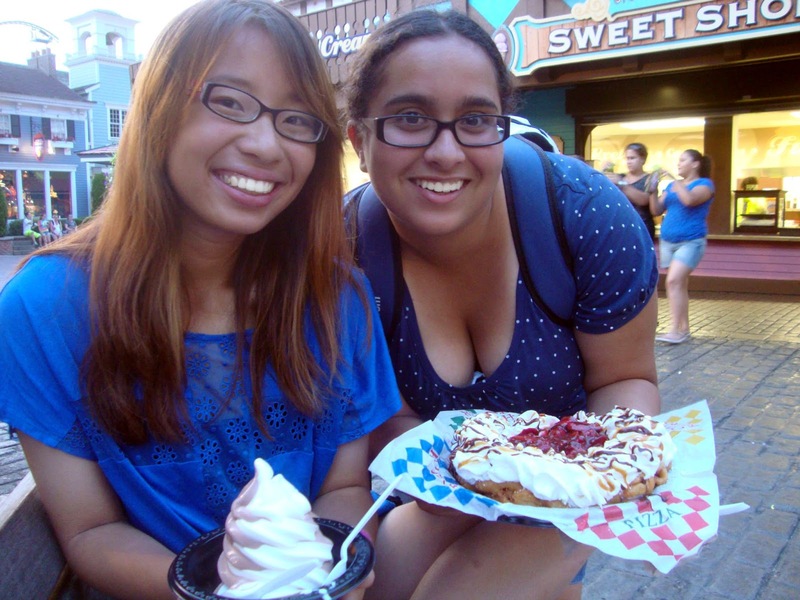 I wasn't feeling much of the dinners at the park (maybe the 8.99 slice of pizza suppressed my appetite), so I ended up splitting some ice cream with my mommy for dinner while my friend had a strawberry funnel cake. The food at amusement parks is expensive! A girl heading to college next year cannot afford this!! Overall the trip was amazing and 100x better than last year! 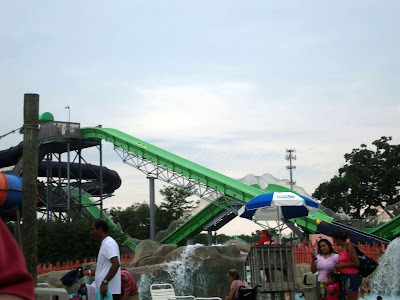 I loved the whole experience of going on roller coasters and playing at the water park! I am looking forward to going there again next year! 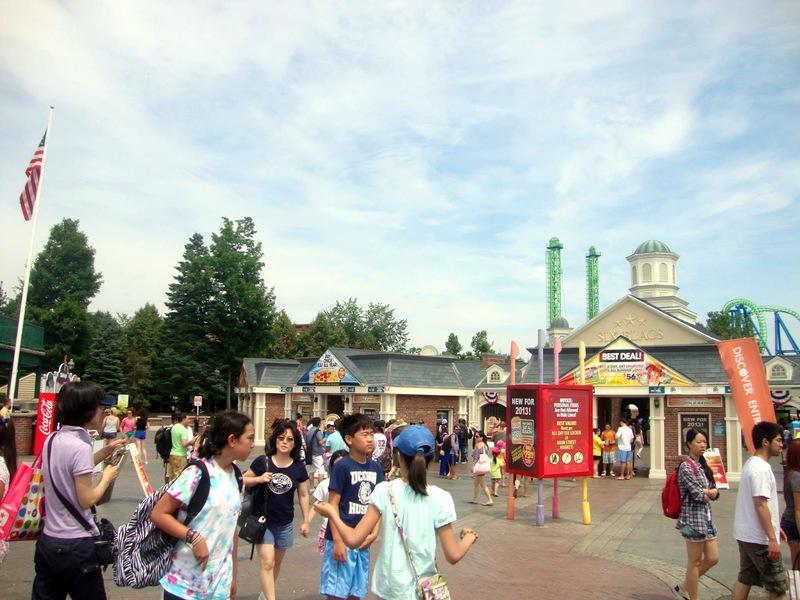 Do you like amusement parks? Six flags it so cool. The food not all that you right. I love Scooby Doo,you look like you had a wonderful time looking adorable. it was so much fun! haha i like 6flags a lot now! Looks like so much fun. I want to go there too! thanks! It was such a nice easy day! I am hosting a fashion giveaway, where one lucky winner will win a $100 Persunmall gift card! You can enter here! Hi sweety, sounds like an amazingly fun filled day! I am a bit afraid of those hectic roller coasters and of heights so I can only do the really mild rides. I'm glad you had fun!! 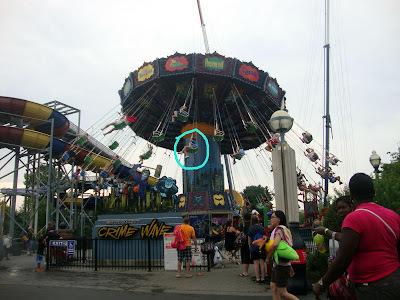 I've been to six flags a few times but I am terribly afraid of heights and thrill rides haha. I love your bikini top! It's such a cute design ^_^. And I love how we are always purchasing the same things as well!! thanks and it is so much fun!! haha, it is a task to find food, but it works bc I LOVE ice cream! thanks and it was so much fun! haha taking pictures is important! THanks and you should go! It is a lot of fun! it is and i did have loads of fun! you are too cute. The bikini top looks really pretty and I bet you look good in it. 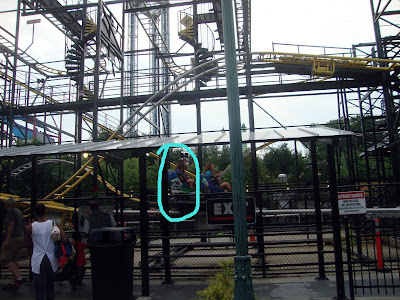 I have been to six flags as well and gone on Bizarro. It was quite the scare that first drop, so be prepared if you choose to go on it. haha I did! I might go on bizarro eventually. The first drop is what scares me! You're so cute!! I love tehse pictures and it looks like so much fun. 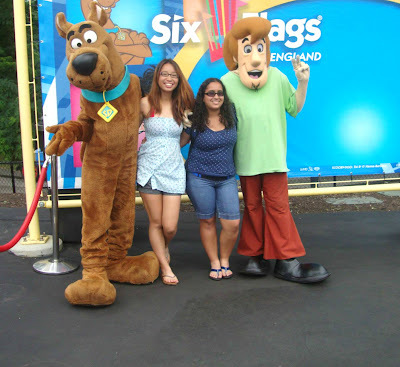 I absolutely love Six Flags.. your pictures make me want to go back!! thanks and you should! It is so much fun! Sounds like a fun day, I love Six Flags! it was and I do too! haha, I will always be a kid at heart even when I am 50!! what a fun day! i totally love that bathing suit top. it is so pinup girl! i bet it looked great on you. yes, rides on a full tummy is not a good idea, haha! 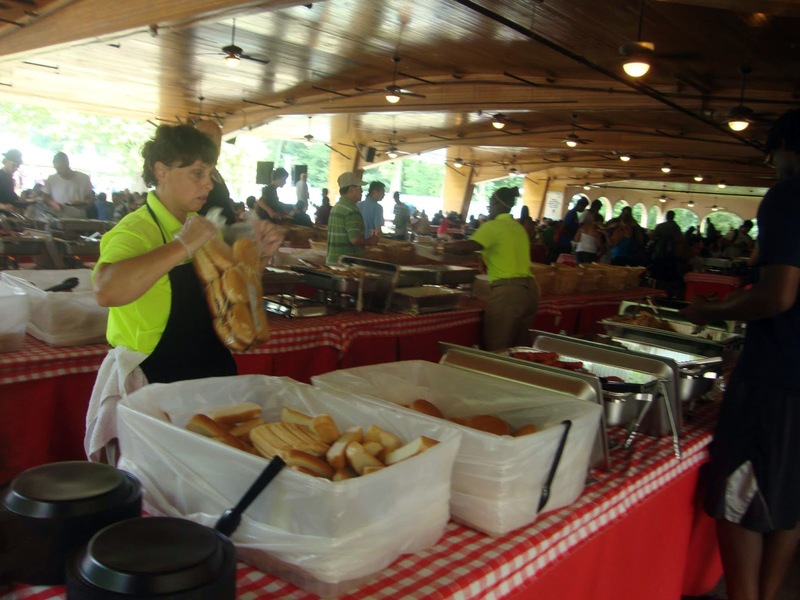 i am never much for the picnic food at that event when my dad's company has done it in the past. but when visiting a theme park, ice cream is ALWAYS needed. haha it is and it is really cute! I think I pull it off well! I agree. The food is always the same and I think it is a bit gross how it is mass produced... but the ice cream was delish! Six flags is great! I love roller coasters especially all the crazy ones. Except for kingda ka ( the tallest roller coaster in the NJ sixflags ) that one is probably a bit too much for me. Although I've gone twice, I've never had the opportunity to ride all the rollercoasters since the lines are so long, still I enjoy it. ohhh that one looks scary!! I am just deathly afraid of heights hehe. I occasionally am able to go on the big rides bc my friends drag me onto it!